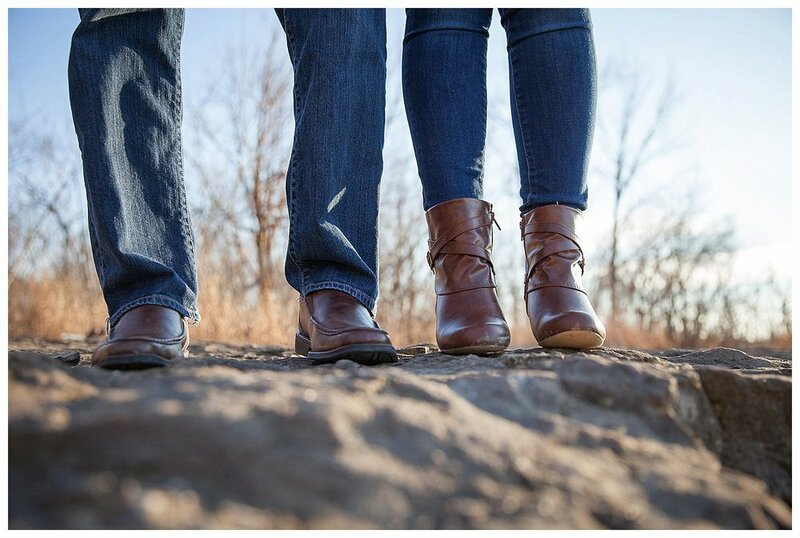 Many brides and grooms dream of the perfect spring or fall engagement session. But not Cara and Jesse. For them it wasn't about the season. They simply couldn't wait to share the exciting news of their New Years engagement. So forget green grass, fall colors, or even white snow for that matter. The Falls of the Ohio was a beautiful backdrop to incorporate interesting details into an otherwise dreary, winter day. The neutrals became alive with sun-kissed textures of the rocks, the driftwood, and the trees. Every trail we walked down had a unique and different look. For me, I was in creative heaven. So here you have it. 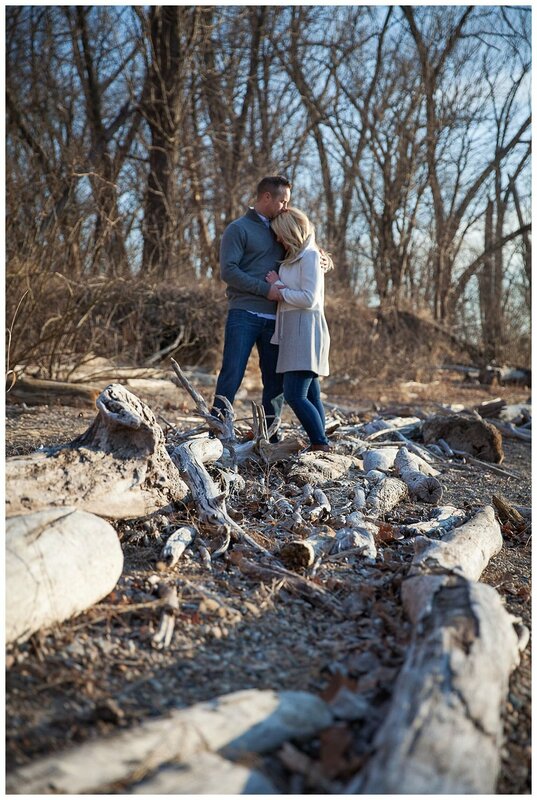 Engagement sessions (and weddings for that matter!) are officially beautiful no matter what time of year. But what really matters the most is the love story of the bride and groom.